My hesitation with graphic books drawn from the classics is they become an easy stand-in for the more complex original. What’s lost in translation is the author’s connection with the words, which give life to the creative intent as character and plot come together in the narrative experience. There’s a commitment to the integrity of that experience when we read the classics and endure the literary narrative styles of long ago. And there’s learning that comes from it, of time-stamped cultural messaging. Would we experience Holden Caulfield’s coming of age the same in a graphic adaptation as we would in Salinger’s purely written form? That said, now I’ll confess. 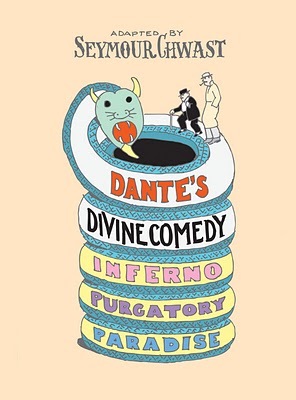 I’ve not read Ginsberg’s Howl nor, in its entirety, Dante’s Divine Comedy, and I’m looking forward to reading their graphic versions. I should read the originals before or after, but I can’t guarantee that will happen until another time. Ginsberg and Dante would not be happy with me. Here’s what’s coming end of summer, beginning of fall, including links to associated YouTube and movie trailer videos. 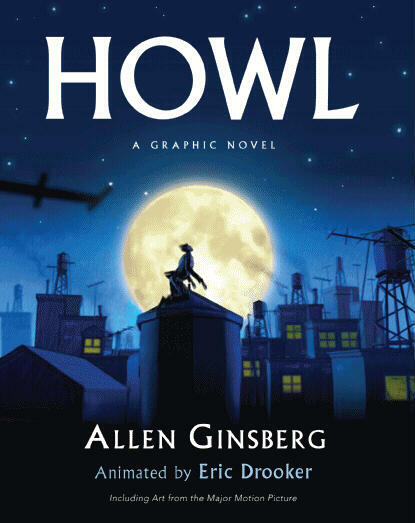 Howl, a graphic novel written by Allen Ginsberg, animated by Eric Drooker: This graphic publication is a tie-in with the movie Howl to be released September 24. According to the book’s website, the paperback book visualizes the poem — stanza by stanza — with animation designed for the film. (If you’re a reader of The New Yorker, you’ll recognize the animator Drooker’s work from the magazine’s cover illustrations.) Howl’s publishing history is dramatic. The publisher Lawrence Ferlinghetti and his City Lights Bookstore manager were arrested by San Francisco police in 1957, charged with disseminating obscene literature. The case went to trial and after testimony from distinguished literati, the book was deemed not to be obscene, rather of social significance. Check out the Howl movie trailer for a glimpse of the trial and other scenes. This page lists when the movie will be showing in your area. 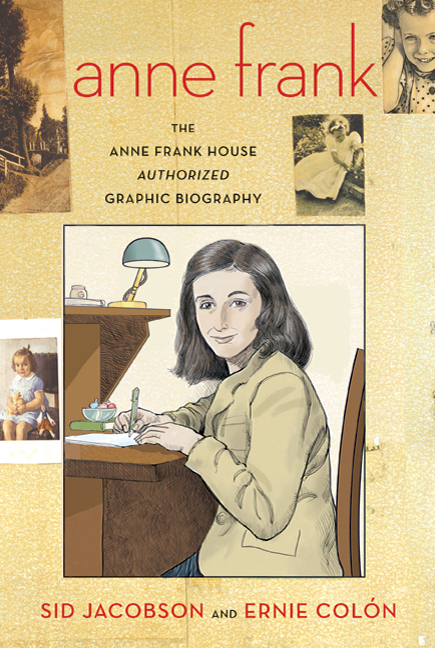 The Anne Frank House Authorized Graphic Biography, written by Sid Jacobson and illustrated by Ernie Colón: The Dutch edition came first this summer. We’ll see the U.S. edition in September, published by Hill & Wang. The publisher’s website says the creators’ “account is complete, covering the lives of Anne’s parents, Edith and Otto; Anne’s first years in Frankfurt; the rise of Nazism; the Franks’ immigration to Amsterdam; war and occupation; Anne’s years in the Secret Annex; betrayal and arrest; her deportation and tragic death in Bergen-Belsen; the survival of Anne’s father; and his recovery and publication of her astounding diary.” There’s an in-depth preview of the book on YouTube, well worth the viewing. Kirkus Reviews and Publisher’s Weekly give starred reviews to this condensed version of the epic poem condensed by Chwast. Publisher’s Weekly says: “Much of the book is beautiful, with page design showing naked sinners tossed in a wind of words, a two-page spread of men and snakes wrapped in writhing battle, or a large flower made of angels as they fly from God.” To the point of my comment, Kirkus states: “With all due respect to Dante, this is Chwast’s Divine Comedy, one that uses the poet’s masterwork as a launching pad for a flight to the creative heavens.” Much of what I’m reading in forecasts say Chwast’s work is stunning. Is there a way to update my email address other than unsubscribing and then re-subscribing?